Nintendo's hitting the road to give Switch demos at select locations, and the 16-time WWE World Champion will lend his (marketing) muscle to one event. Less than two weeks from the launch of its Switch portable console, Nintendo announced a road tour to continue driving awareness. 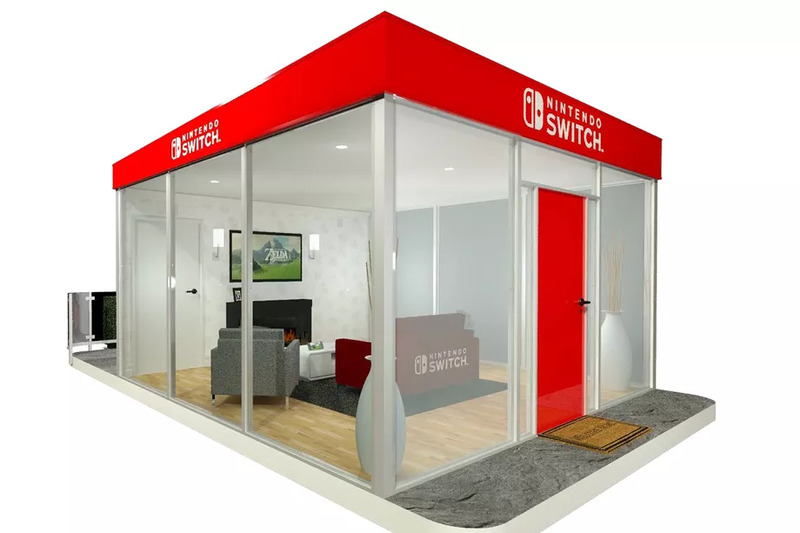 Nintendo will hold three Switch events across the United States and set up an "interactive living room" where participants can try out games like 1-2-Switch—and go one-on-one against WWE's John Cena, in one special case. According to a press release, Nintendo's first stop is scheduled for this Thursday, February 23, at The Blue Movie Ranch in Santa Clarita, California. It's an invite-only event where John Cena will go up against "YouTube influencers" in 1-2-Switch matchups. 1-2-Switch is a compilation of mini games that will launch alongside Nintendo Switch on March 3. The game retails for $49.99 and, unfortunately, is not included as a pack-in. On Monday, February 27, Nintendo will roll on to Aspen, Colorado, and set up its interactive living room at the Snowmass ski resort. Anyone who happens to be in the area can swing on by to play Switch. In fact, Nintendo hopes as many people will participate as possible: its goal in hosting a preview event on top of a mountain is to demonstrate that the Switch can be played virtually anywhere... like at the top of a mountain. New York's Madison Square Park is Nintendo's final stop, and is scheduled for March 3, the console's launch date. The event will be free and open to anyone. Instead of John Cena, Nintendo will trot out its own stars: actors dressed up as Mario and Luigi. Further information on the tour can be found below. Nintendo Switch launches on March 3 in two SKUs—differentiated only by the color of the included Joy-Con peripherals—for $299.99. I don't understand this pairing but I'm willing to see where it goes. Because he had a huge social media following and is really respected as one of the largest make a wish granters of all time. It might not be natural but it's a safe PR bet. Oh yeah, if they were going to pick a WWE star it would be him. I'm just saying that's still an odd pairing considering how long its been since a decent wrestling game has been on a Nintendo system. WOAH He is the LARGEST make-a-wish granter of all time. None of this "one of the" crud. He has over double second place in wishes granted. He has made over 500 wishes come true, and only five other celebrities have granted more than 200 wishes: Hulk Hogan, Jeff Gordon, Dale Earnhardt Jr., Michael Jordan, and the Justin Bieber Apology Tour. I care very deeply about his make-a-wish work. you just want to see John Cena in a pink tutu having a tea party again. I wasn't trying to downplay it, I just didnt have the exact fact in front of me. I think the WWEis like 40% of all wishes granted. thats nuts. hes a big hit with kids (for some reason). he hosted the kids choice awards on nickelodean. Because they're getting ready to announce that WWE All Stars 2 is a Switch exclusive.